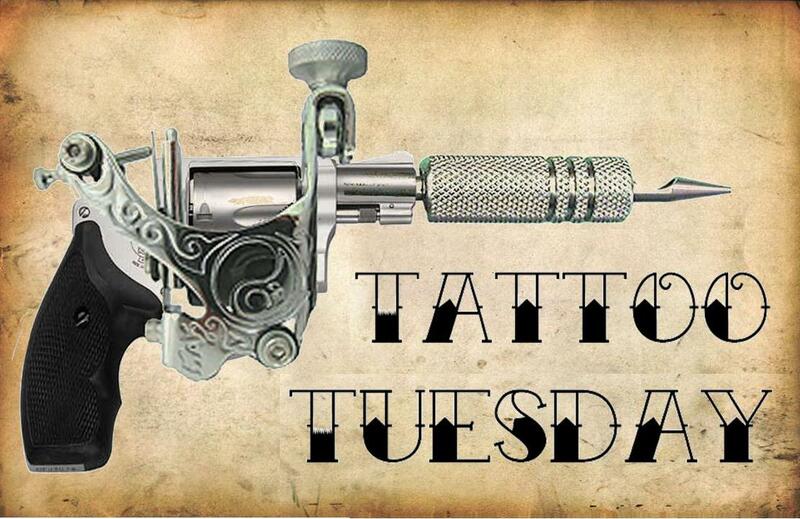 It's your favourite time of the week again - Tattoo Tuesday! This tattoo is a fairly recent one and was yet again done by the lovely Mimsy of Trailer Trash Tattoo. On the inside of my right wrist, this flamingo tattoo was a long time coming. Mimsy had some flash drawn up and displayed on the wall of her studio for a while and a version of this flamingo was up there. I had my eye on it everytime I went it, admiring it. Finally I decided it needed to be done and it also needed to include leopard print. So Mimsy drew up something new for me and that was that. I had my very own flamingo tattoo - something I'd been coveting for a while. "Dito" for every TT comment I have made so far, How did you decide which way up to put the flamingo, I would have thought the other way up would have been better for you to look at. A big Shout out to Mimsy, I Love your work! !